I love the painting. The binding of Isaac has deep religious meaning to me. I get to see daily to remind me of the most important chapter in Judaism (Genesis 22). This is the first painting I have ever owned custom made. I am so grateful. The service that went along with it was excellent. I hope to own another one real soon. Peace and blessings in His Name. Excellent treat, and the fastest service. Outstanding product. Once again, thank you for a couple of very well done paintings.Your service as always has been very professional and punctual. Communication and assistance were excellent. Will order again soon. Judaica Art did a wonderful job. They customized our painting to our specific request and delivered in just a few weeks, even though we are in Canada. We love our painting....a great company to deal with. We'd definitely buy another painting from Judaica Art and recommend it to anyone. Testimonial by: Lyndsay B., N.Y.
Judaica Art did a wonderful job of re-creating the original paintings. They were easy to work with, wanted our feedback, and were very receptive to our thoughts. Our paintings are absolutely beautiful. I highly recommend buying from them. Judaica Art has done it again!! I just received two more paintings and again they have exceeded my expectations. The quality of these paintings are exceptional. They are absolutely breathtaking! Judaica Art's exceptional products are coupled with their exceptional and outstanding customer service. Mr Heskiel is always gracious, kind and prompt in responding to any questions to make sure the product ordered is exactly what the customer is asking for. I highly recommend purchasing from Judaica Art, you absolutely can't go wrong. I'm running out of space for all the paintings I would like to purchase. I just may have to build more walls! It look better than in the photo in the mail. I AM satisfied for the result, and the dealing with you. It was a real pleasure dealing with Judaica Art customer service. All of my questions were timely answered, even after hours :) I ordered an expensive very large painting and I was a bit concerned how it's going to look... The actual painting looks MUCH better that what I've expected! This painting was a gift from a group of people, some are very picky people :) and I must say that everyone of us LOVED it!! The quality of the canvas, oil, and the painting itself is outstanding. I would definitely recommend Judaica Art to my friends. Great Job. One of your many happy customers, Olga Gorenshteyn, Marietta, GA. I was incredibly pleased with the beautiful paintings that I received from Judaica art. I ordered two paintings from different artists and both of them turned out to be truly beautiful. Immediately, upon receiving them, I brought them to be framed. Several Israelis (since I live in Israel) who saw me holding these two beautiful paintings asked me where did I buy such gorgeous pieces. I was also extremely impressed with the professionalism of this site- especially David, who was always available to answer any questions and provide any assistance if needed. I would highly recommend this site (which I have already done to friends and family members) to anyone who appreciates beautiful art. I was very pleased with the service. I had a picture of a person that I wanted made into an oil on canvas. They took the small pic, and photo shopped it and the result was magnificent. I received my paintings and their beauty and quality are beyond words. I can't keep my eyes off of them! The customer service I received from Mr. Heskiel was exceptional. He was always so kind and quick to respond to my many questions and kept me updated on the paintings progress. Don't hesitate to purchase your painting, you won't be disappointed. 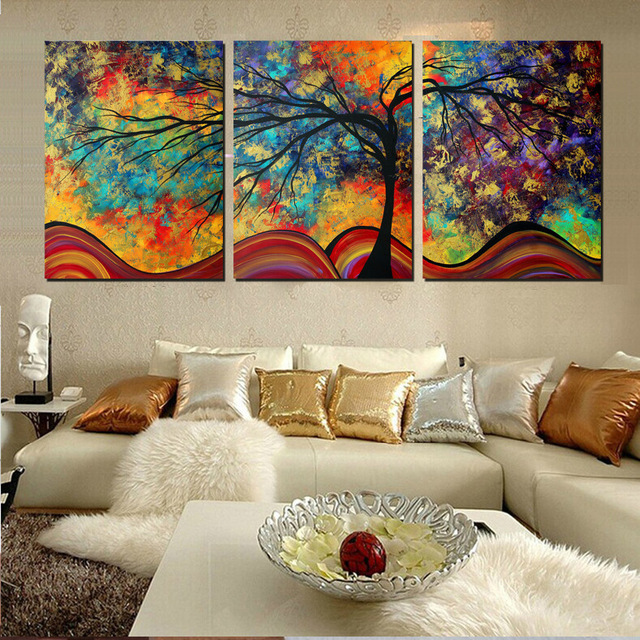 I am already looking to order my third painting! I was very pleased with the 2 paintings I had ordered. THANK YOU JUDAICA ART FOR YOUR DEDICATION TO CUSTOMER SATISFACTION AND YOUR PROFESSIONALISM. YOUR ARTISTS ARE TALENTED AND THEY HAD DONE AN AMAZING JOB. I am already browsing for additional art that may be of an interest to me. I am very happy and would highly recommend this website to everyone who is looking for a deal and beautiful work. I have received my 2 paintings several weeks . My wife and myself can not stop looking on them . Painters have done very good job ! When paintings were sent to our approval there were a few things that we thought needs to be Changed and improved . With no question asked they changed and improved things in question . The whole Back and forth communication was very professional which I liked . At one point of our communication they told Me that the actual painting will look better then photo that they sent me to approve . Tell you the truth I had some doubts about this statement but when I received my paintings I was amazed because it was absolutely True ! I highly recommend this site . We are thrilled with the paintings produced by Judaica Art. They are even more beautiful, and moving, than the pictures shown on their website. To confirm our satisfaction with Judaica Art we have decided to purchase another painting from them in the very near future. The 2 paintings you recently sent are astonishingly well done. I have original lithographs by the same artist and wanted another medium. Your artist(s) are extraordinarily talented and their reproductions are very impressive. You provide a wonderful service allowing anyone to afford fine art. I have had many complements on these oils and will continue to recommend your service. Thanks Sincerely, Mark D.
Judaica Art did an AMAZING job on my order. The pieces arrived in great shape and looked even better than I could have possibly hoped. I've already received compliments from many guests we've had at our home and recommended Judaica Art highly. The painting arrived in perfect shape. It is beautiful and looks better than the original. Thanks allot Chavie L.
Despite my initial apprehension about buying paintings online, my fears were soon proven unfounded. Judaica Art's service is unbeatable! No unpleasant surprises, just an absolute pleasure to deal with . . . and then the pictures came. They are first rate! I am looking forward to my next purchase in the very near future. Your work is excellent!! We really appreciate having these lovely oil reproductions in our home. The help at the web site and the customer service really made a big difference. Thanks!! This is a fantastic deal. The customer service is superb. The painting came before the promised date. The quality of the painting is excellent and the craftsmanship of the painting is a as good as the original--- for a fraction of the price!! Thank you judaica-art.com and all the professional artists you employ. I found your site on the web after doing a search for “Judaica Art”. I chose a painting from your site, and now about eight weeks later I have it framed on my living room wall – and am enjoying the many compliments it has received. Your staff ,especially David, was helpful and prompt in assuring that the painting met my approval. After emailing a preliminary of the painting, and taking into consideration the alterations and adjustments I requested, I now have a fabulous reproduction – at a fraction of the cost of the original- with barely a difference between the two. Thank you A very satisfied customer, Sarah E.